Mold issues have the real potential to be a dangerous health concern for everyone in your family, and it can grow just about anywhere in your new or older home. That is why you need the trusted industry experts at Mold Solutions to provide preventative mold treatments for your home in Seattle and the surrounding areas. Preventative mold treatments available from the proven and reliable professionals at Mold Solutions will keep your home clean and safe. Get the peace of mind to know that your home in Seattle or the surrounding area will be free of mold before it even gets the chance to grow, and for many years come. Call 425-888-3332 now to speak with one of our knowledgeable and experienced professionals about the reliable and effective preventative mold treatments available at Mold Solutions. Our expertly trained and highly experienced technicians offer proven methods for preventative mold treatments to protect your family right from the beginning stages of construction of your new home. The industry professionals at Mold Solutions use a permanent treatment called Microbe Guard, which creates a new surface to ensure mold prevention. The result is a newly created surface permanently resistant to microbial attack. Since 2007, Mold Solutions has built a reputation as proven experts in preventative mold treatments in North Bend and the surrounding areas. We trained and educated in mold science and building science, and our skilled technicians deal with mold on a daily basis. Mold Solutions has years of experience treating and preventative mold on any kind of surface. 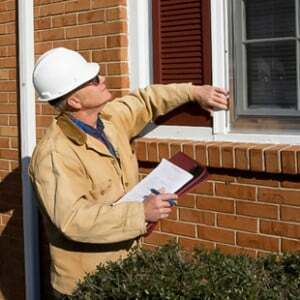 We are licensed, bonded and insured, and take pride in our business philosophy to always do the right thing. Call 425-888-3332 and talk with one of our knowledgeable representatives about the professional preventative mold treatments at Mold Solutions available in Seattle and surrounding areas. Or simply fill out the contact form to the right and we will respond to your inquiry shortly.